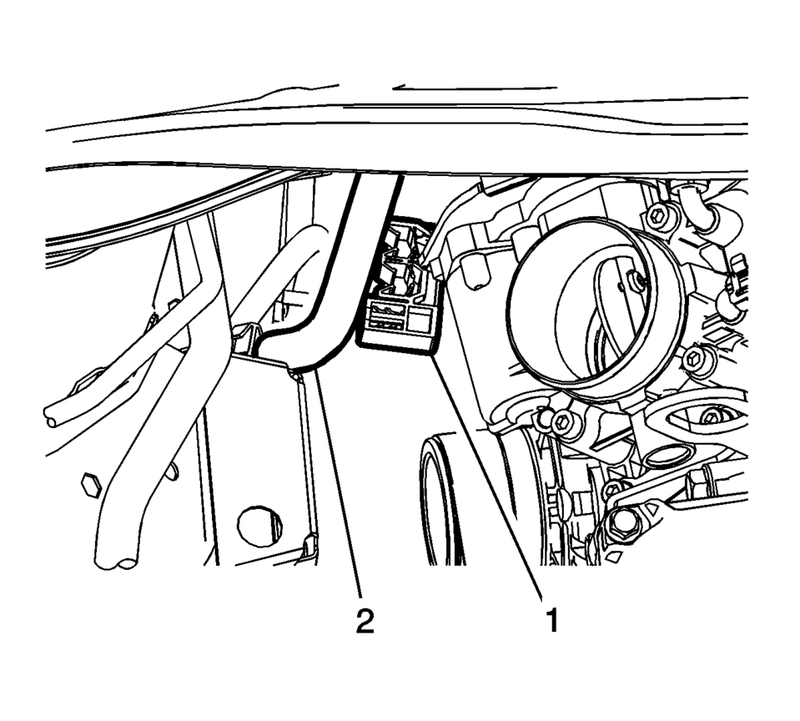 Remove the plastic retainer (1) and disconnect the evaporative emission pipe (2). 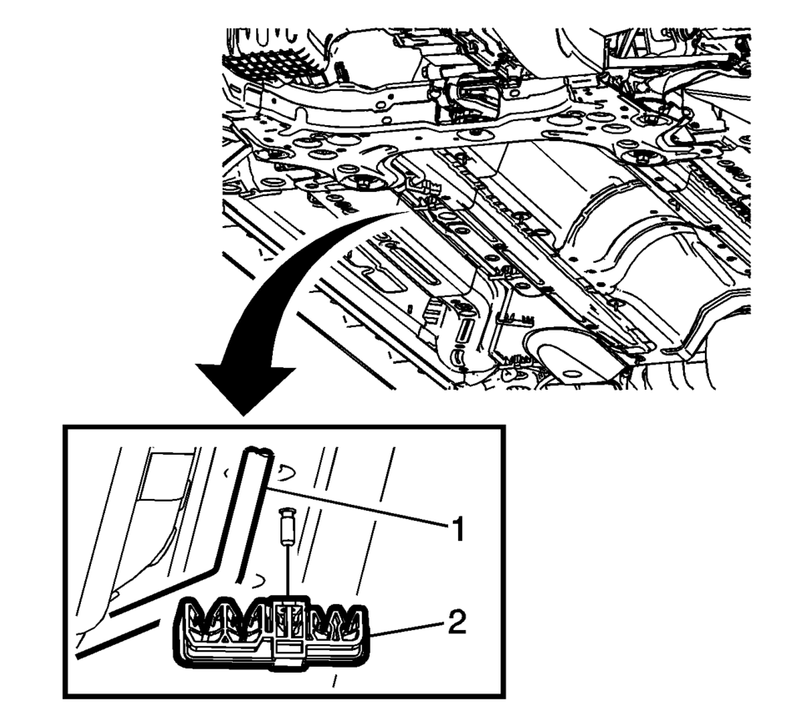 Disconnect the evaporative emission pipe (1) from the plastic retainers (2). Remove the evaporative emission pipe. Install the evaporative emission pipe. 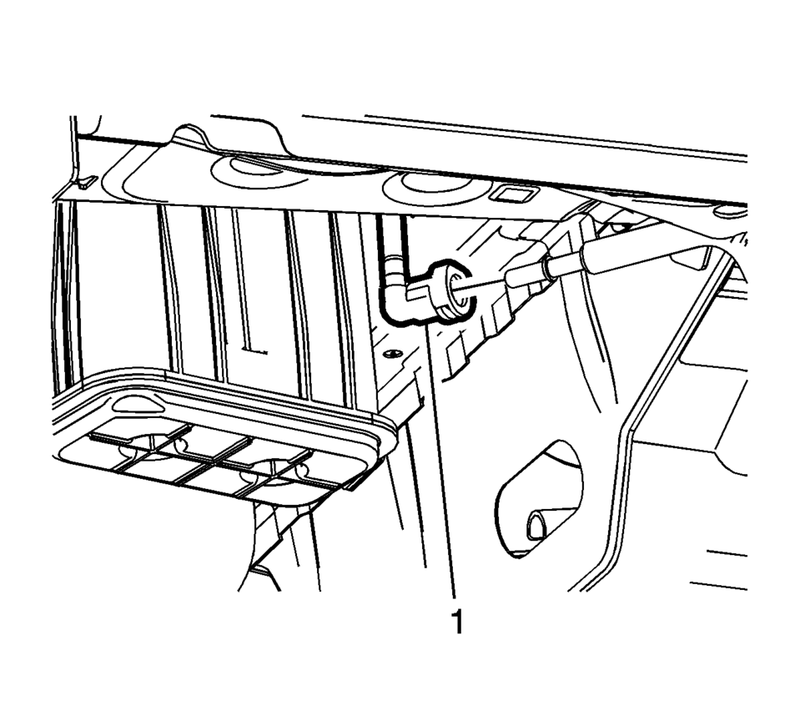 Connect the evaporative emission pipe (1) to the plastic retainers (2). 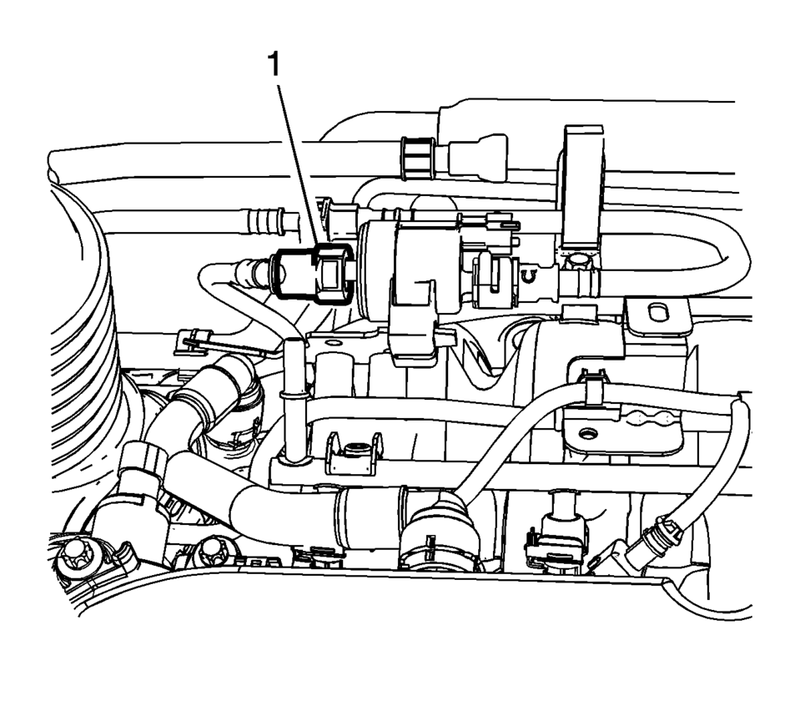 Connect the evaporative emission pipe (2) and install the plastic retainer (1).